Luke Wilson and Carla Gugino. 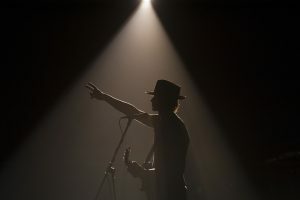 Photo by Katie Yu and courtesy of Showtime. 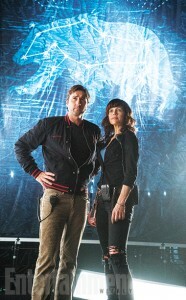 Roadies is featured in Entertainment Weekly‘s latest “First Look” issue. The preview includes a Q & A with Cameron. Here’s an excerpt, for the entire article, check out the story over at EW. Almost Famous writer-director Cameron Crowe is going behind the music again – this time with a TV series starring Luke Wilson, Carla Gugino, and Imogen Poots as the support staff for a touring rock band. In Almost Famous you shined a spotlight on a kid coming of age on the road, following around a rising band. Now you’re shining the spotlight on the people who shine the spotlights on the band. What intrigued you about that side of the business? I hadn’t seen their stories told….I always used to see these pictures – or when we’d film something – where Elton John would come down the hallway of the Forum on his way to the stage, and some poor [stagehand] would be moving a cart, and he’d see the camera and Elton coming and he’d be like [mimics someone trying to get out of the frame]. The camera would just move past him, and I was like, No – let’s do the show where the camera’s on this guy that’s against the wall. Let Elton John go. We want to know his world. That’s kind of the show. 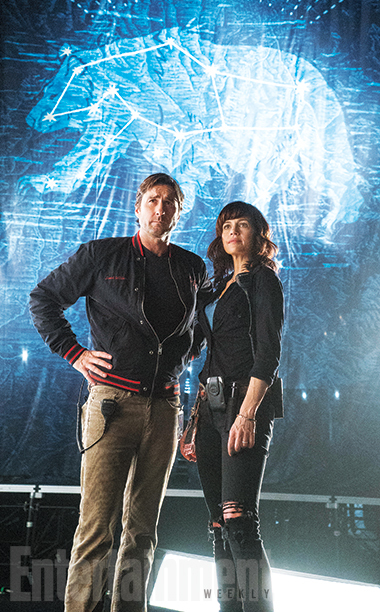 How long have you had the idea for Roadies? 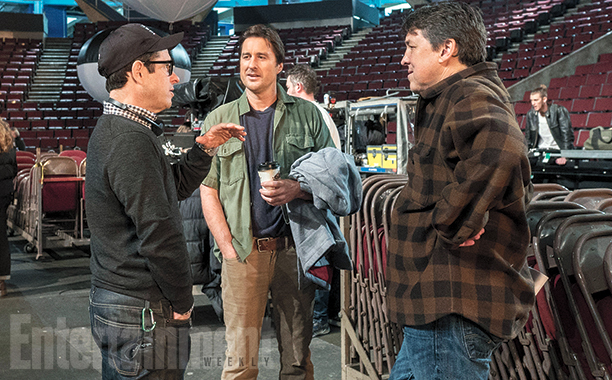 J.J. Abrams, Luke Wilson and Cameron on the set of Roadies. Photo by Katie Yu and courtesy of Showtime.